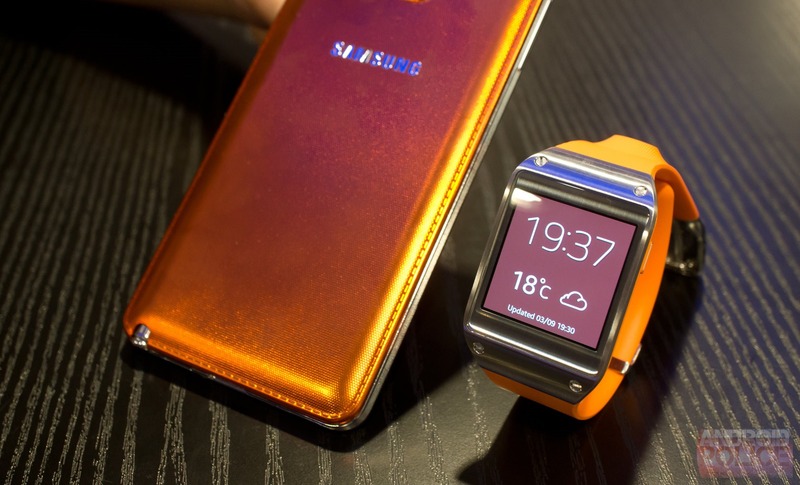 Samsung also positions the Gear as a "companion" to the Note 3. The device will work with other Galaxy phones (sorry non-Samsung owners), but will likely be launching contemporaneous to the Note 3. So what does it do that makes its experience so special? After the brief hands-on video below, we'll get into the nitty gritty. Note: The device's display, as explained below, is actually 320x320, not 130x130 as I incorrectly stated in the video. Before we get started, it's worth looking at the device's concrete specs. First, the form factor. The Galaxy Gear isn't too much bigger dimensionally than a regular watch. It has a 1.63" square Super AMOLED display that's pretty clear, and definitely bright and vibrant. I could still pick out some individual pixels, but nothing jumped out to me as particularly jagged. 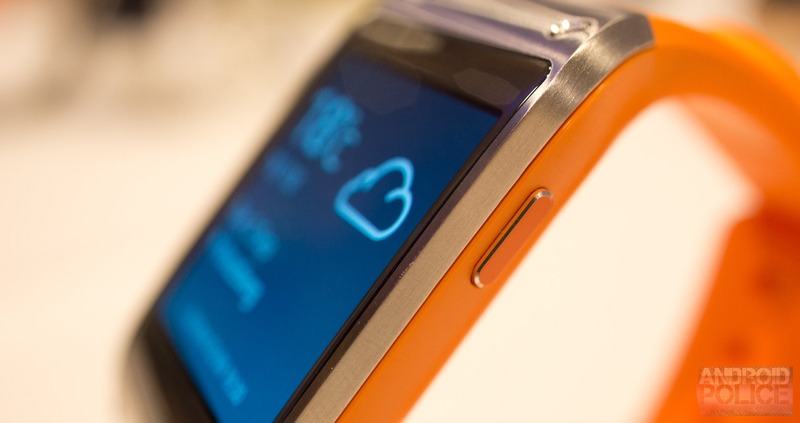 The chassis is made of metal, and the screen is covered with sapphire glass. The watch will also come in a variety of colors, including Oatmeal Beige, Rose Gold (white strap plus rose gold colored face), Jet Black, Mocha Gray, Wild Orange, and Lime Green. There's just one button on the Gear, which acts as both the home and power button, depending on where you are in the interface. The strap is adjustable and closes with a familiar watch-like clasp. What's unfamiliar about the strap, though, is the big camera bump protruding from one side. This houses the 1.9MP camera that can shoot stills or "short" videos from the watch's built-in camera app. Speaking of apps, Samsung gave us only tidbits of information about how apps will work on the Gear. So far, it's planned to launch with "between sixty and seventy" apps, including apps like Evernote, TripIt, Pocket, Life 360, Path, Runkeeper, Vivino, Glympse, and others. To bring together a Gear-appropriate experience, Samsung is working individually with developers – there are no plans right now to open up an SDK, as Samsung plans to "see how things go" with the product before opening up. 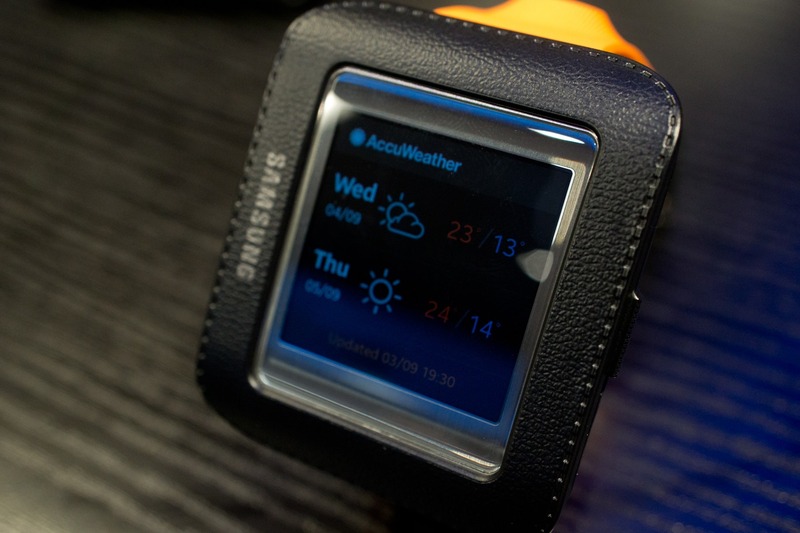 The apps the Gear does have, though, seem well put together and should enhance the experience of the watch, which is otherwise reliant on Samsung-branded tools. One such tool is "Find My Phone," which works two ways between your phone and Gear, to locate one or the other as long as it's within Bluetooth range. The Gear can also make use of S Voice and record voice memos. Other apps will be distributed through Samsung's own app store, with no concrete plans to use the Play Store for Gear apps in the foreseeable future. Swipe down from the home screen to get to the camera, swipe up to dial a number, swipe left or right to get to other stuff. There's also a two-finger-swipe-down gesture to change volume and brightness, and a two-finger tap gesture to show a quick peek at battery life (more on that later). Oh, and the Gear will automatically turn on when you bring it up as if to check the time. The clock-based home screen is more interesting than it sounds, mainly because the Gear Manager app has a ton of clock faces to choose from, from analog faces to digital, weather, notifications, event reminders, and pedometer faces. These are all separate clock faces, and there's no sign of customizing one a la DashClock at the time of writing. Some faces have interactive features. The weather face, for instance, can be tapped to bring up a slightly more detailed weather reading. Notifications will, as you may predict, show you what notifications you've got on your phone. Most apps, at the time of writing, will simply show up as an icon to let you know something has happened with that app, be it Gmail, Messaging, Facebook, or Twitter. Favorite Apps and Apps are pretty predictable too. Favorite Apps is a list of your most frequently used Gear apps, and All Apps shows you … all your Gear apps. In a side-scrolling list. This is also just what it sounds like – a list of contacts and a simple call log. The camera's interface is tricky. 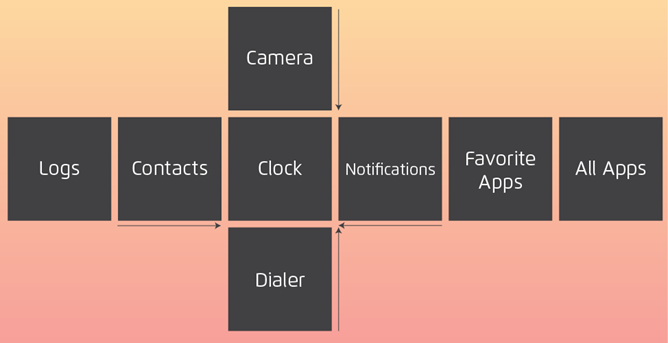 Since I can't provide an actual screenshot, I've diagramed what the interface looks like. There's a camera icon in the top left, but it doesn't do what you think it does. Instead of capturing the scene, that button switches to video mode. Actually capturing something is much easier – just touch anywhere to focus and snap automatically. 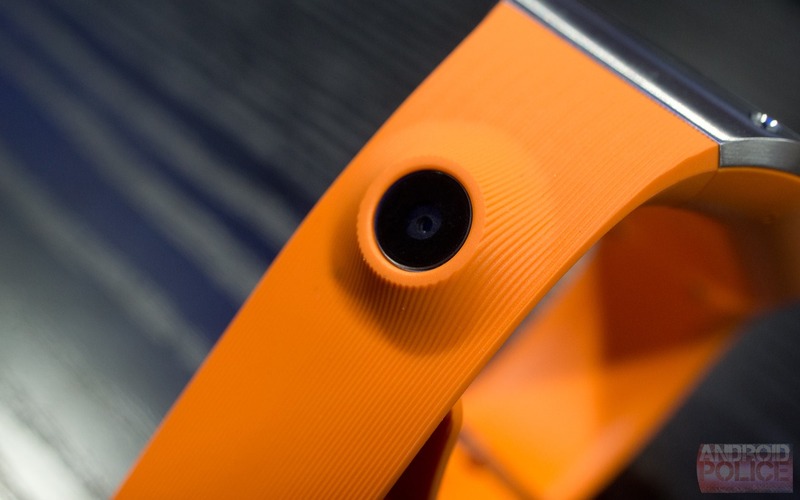 Presumably the camera will integrate with S Health for food tracking, but it can also be used to practice your secret agent photography skills. The dialer is just like a regular phone dialer, allowing you to place speakerphone calls directly from the Gear. From what I heard in a test run, the sound quality is not great, but definitely passable for a speakerphone attached to your wrist. That said, the Gear does have two mics for noise cancelation, so you'll presumably sound great to whoever's on the other end of the call, though there was no way for us to test that on site. Compatibility with the Gear seems to be something of a gray area right now. When I asked about broader compatibility with other Android handsets, I was told that theoretically non-Samsung exclusive features would work with other phones, but it seems that the device can only be paired using Gear Manager, which is only available for Samsung phones, with no plans to release it to, say, the Play Store. So for now, it looks like the Gear will only be for Galaxy users. Update: The Gear will be compatible with the Note 3 and the new Galaxy Note 10.1 as well as the S3, S4, and the Note II after firmware updates. My overall feeling here is that Samsung is being very careful with the Gear, limiting both the number of people who can use it and which developers can develop for it, so the experience can be curated and consistent, allowing for a more accurate pulse on user reactions to the device. Considering Samsung's current standing in the mobile world, their sample size will almost certainly be significant enough to draw some conclusions about how to proceed. This is a point of interest for a lot of potential buyers out there (whoever you are). Battery life was quoted to us as "about a day" on a single charge of the 315mAh pack. All I can say for sure is that every unit I used during the hands on demos (about three or four units) was at 25% battery life or less after several other members of the press had their turns with it. Samsung told us the battery tests "are still being run," so battery life will be something to watch at release time. Samsung obviously isn't ignoring the battery concern, though. Like Glass, the Gear's screen is off most of the time, only turning on when something happens (like a phone call), when you bring your arm up to check the time, or when you manually press the power button. As for charging, that's a very interesting story. Instead of a micro USB port, or a wireless charging coil, or pogo pins, Samsung has gone for a combination of pogo pins and micro USB. Included with the device is a charging shell/case/thing. It snaps onto the device, aligning with pogo pins around back. Once snapped on, the shell plugs in via micro USB. This is a pretty cumbersome way to charge something every single day. The shell is also used for initial NFC pairing with Gear Manager. 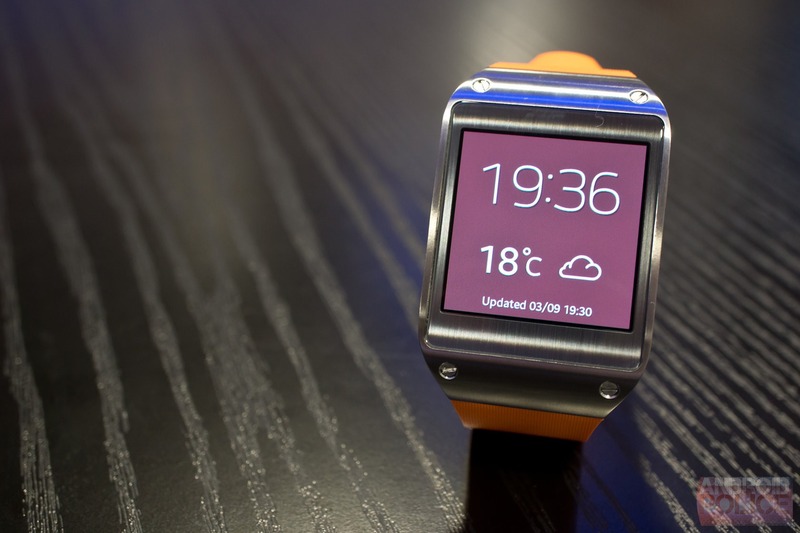 The Galaxy Gear is … interesting. 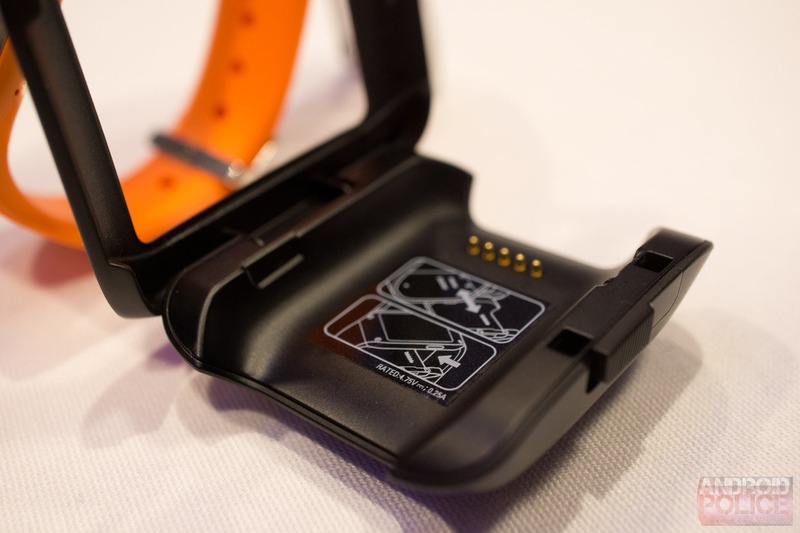 Does it fulfill my wildest smartwatch dreams? Not by a long shot. 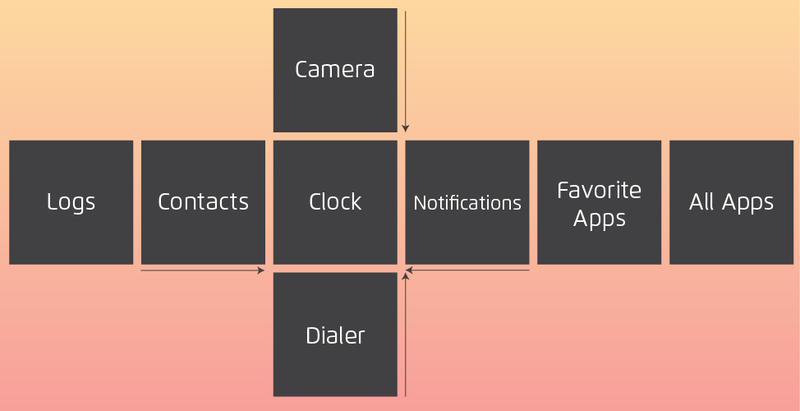 Could I see it being a useful second (or third, or fourth) screen for notifications, step tracking, and remote control of some phone apps? Sure, if you've got a Galaxy phone and some spare cash. It won't be replacing my watch any time soon, though. Samsung says the Galaxy Gear is going to be available in 140 countries on September 25th and globally in October. Update: The Gear will cost $299 in the U.S.